Event professionals have travelled to Barcelona today for ibtm world, which takes place from 29 November to 1 December at the Fira Gran Via. More than 3,000 exhibitors from 150 different countries will attend the event, which will also see 100 events and networking opportunities take place. 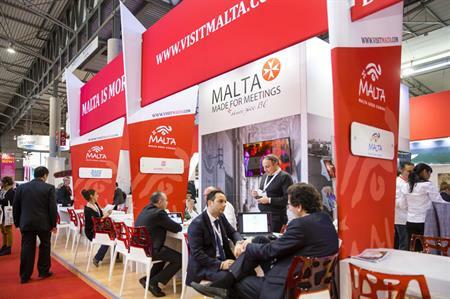 Sponsors for this year’s IBTM World include the Sri Lanka Convention Bureau and Cvent. The 2016 programme includes knowledge sessions which will focus on several key topics such as connection, inspiration and tools for meeting productivity. As part of the ibtm Knowledge Programme, the new theme of Industry Trends will kick off with a highly topical session - The Impact of Brexit featuring James Heappey MP and chair of the All Party Parliamentary Group for Events, UK Parliament. The session will discuss and debate the possible impacts of Brexit on the global meetings industry and the panel will be on hand to answer questions and offer their views. If you are attending ibtm world, come to stand L23 to get your copy of the magazine and chat with our sales team.